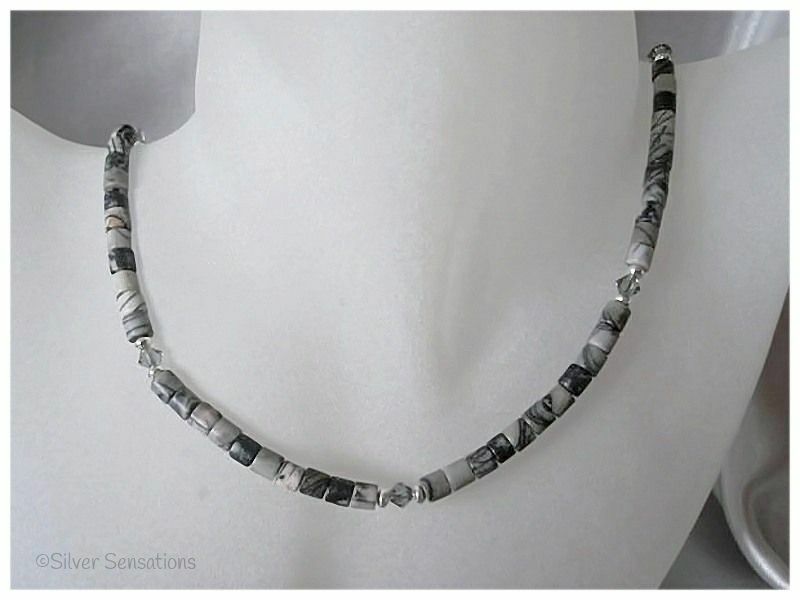 This uniquely designed handmade slim necklace has been created using black Crazy Lace Agate heishi beads. 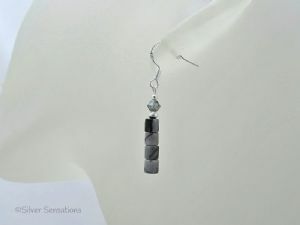 There are stations of slightly lighter toning Swarovski Crystals with a Sterling Silver circular puff bead at either side. 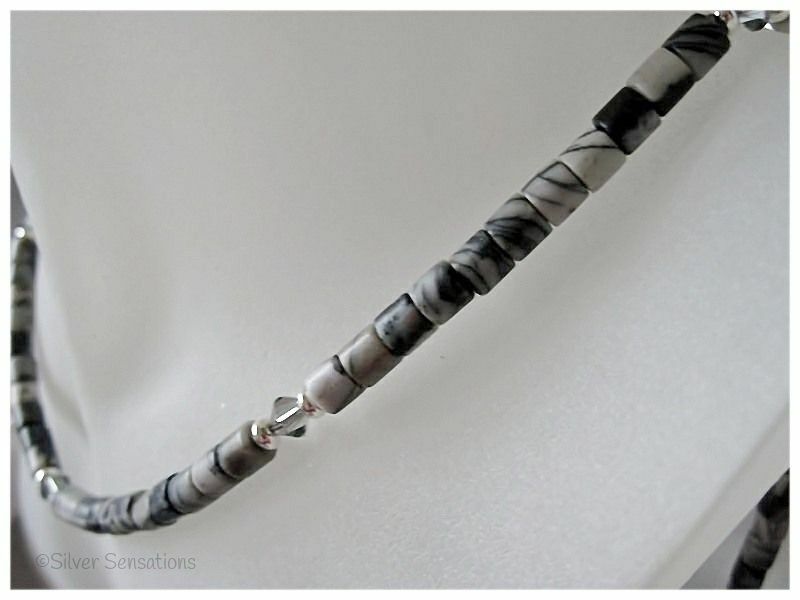 It measures 18" in length and is finished with a Sterling Silver bolt ring clasp fastener. 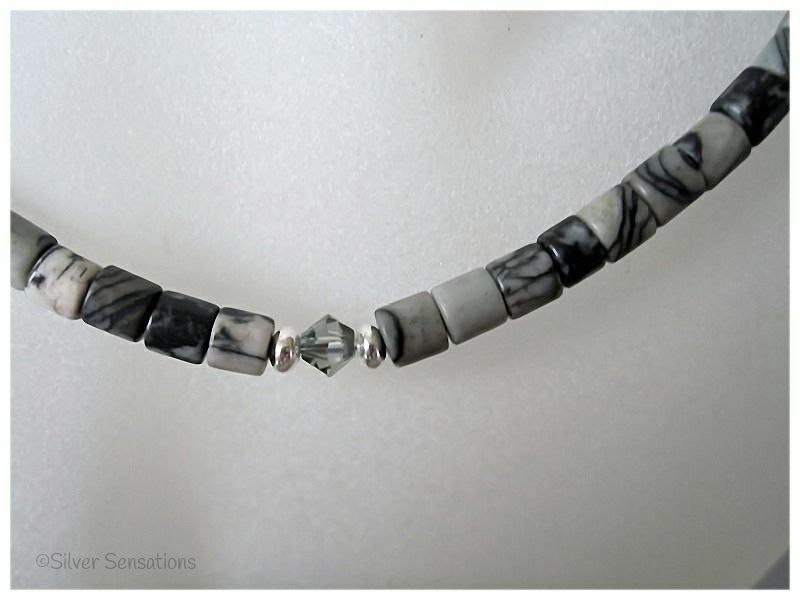 Crazy Lace Agate comes in a variety of colours and each bead has its own markings, therefore every piece of jewellery will be unique. 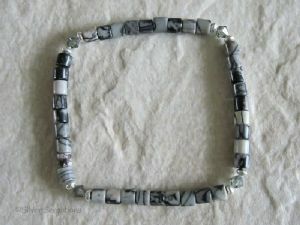 These beads are a mixture of black & grey.